It was Pablo Picasso, an 18th-century Spanish artist that said that the purpose of art is washing the dust of daily life off our souls. I find no better definition. The arts have been part of life as long as man has existed. Even before formulas and pythagorases and laws of gravity. Essentially, humanity is art – one big artistic expression. To ask whether society should support artists and other creative endeavors is to beg the question. The benefits of the arts are enormous, and the failure of society to validate persons venturing into the arts and other creative works is saddening and only reveals the recurring ignorance that has crippled many societies. Briefly, I will discuss why societies, organizations and even governments should support artists and others pursuing creative works. First, arts and other creative pursuits bring a common denomination to life, thus wherever art is, everybody can relate and join the conversation, from people working in STEM fields to those working low-level government jobs. To this end, art has been used as a means of peace-building in many societies in the past. It can also be used to increase civic participation. The Art contributes greatly to a nation’s commerce. When we speak of films and novels and music labels and dance professionals, symphonies, theaters and museums, we talk about the arts and its commercial value. The U.S exports of arts goods grew to 72 billion dollars in 2011. Also, a 2014 analysis of Dun and Bradstreet data counts 750, 453 businesses in the U.S that are involved in the creation and distribution of arts. These businesses, apart from bringing in income for themselves, boost the country’s Gross Domestic Product and provide employment for millions of people. Art is also a great driver of social works and campaigns. Till date, campaign and advocacy messages have not been passed across in a better way than through films. Campaigns against violence, bullying, female genital mutilation, and for environmental protection, human rights, and education have been powered through artistic posters, songs designed for the purpose, special graphic designs and films. Thus, art not only helps for commercial good but also for social good. Research has also shown that art and other creative endeavors lead to increased levels of creativity and innovation. 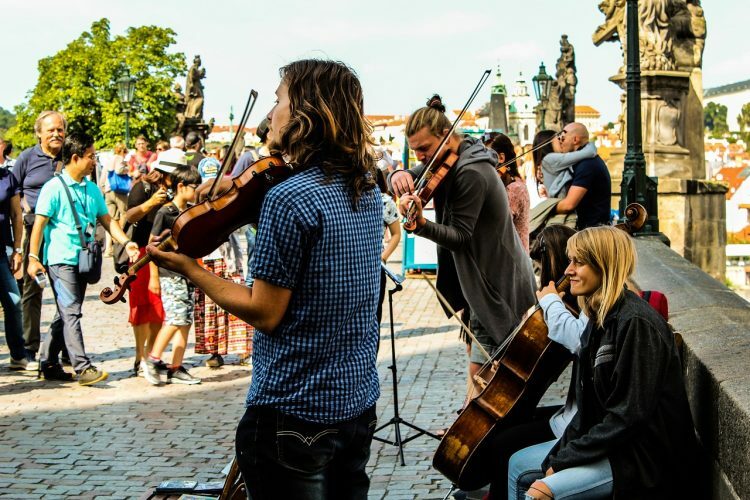 A study has also shown that students who involve in the arts have better grade point averages, lower dropout rate and generally score better in standardized tests. This is a good thing, considering innovation is what is required in many organizations today, people who can seek new ways and improvements and not just those who can follow directions. Finally – and I saved this for last because it is the foundational part of society’s encouragement of the art and other creative endeavors – children benefit a lot from the arts. It helps them grow their physical, emotional, imaginative, cognitive and experimentational development skills. It also helps them build visual-spatial and motor skills. This is why rhymes, cartoons, songs, paintings and drawings, colorful fiction books and diverse art forms are employed in the early phase of children. Research in education has shown that it better prepares them for the world by equipping them with the necessary skills and giving them sharp IQ’s. A quote I read by Picasso recently saddens my heart. It says ‘Every child is an artist, the problem is to remain an artist once he grows up’. And this is because our society, with all the obvious benefits of arts that are seen, discourages children from venturing into arts and creative fields. This is a reminder to the society, to government, to parents, of what the arts mean to us, of how human existence is founded on the arts, of how it is the water that constantly washes us of life’s dust, of how after all the hustle and bustle of the day, if we don’t support the arts and artists, what then would we do in the evenings? Caleb Adebayo, a participant of AskPetersen Scholarship.